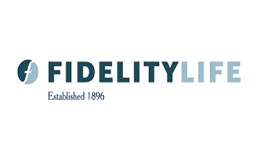 Fidelity Life was established over a century ago as a fraternal benefit society in the state of Illinois designed to provide financial security for the growing middle class of the Midwest and Northern states. Since then, Fidelity Life has served hundreds of thousands of satisfied customers, and continues to respond to the needs of Middle Americans through innovative products and services. Today, Fidelity Life has over $22 billion of life insurance in-force, over $500 million in admitted assets, and capital and surplus of over $250 million. As a mutual legal reserve company, Fidelity Life is free from the constraints of publicly held companies in our ability to think long term and exercise control over future innovations and events. With one of the industry’s strongest capital to risk ratios, it also offers an A.M. Best A- (Excellent) rating. Fidelity Life Association is domiciled in Illinois and is licensed to do business in all states and the District of Columbia, except Wyoming and New York. Web-based technology and underwriting innovation enable Fidelity Life to offer a fast, hassle-free purchase experience. With the company’s Rapid Decision Term product, the application, approval and delivery processes have been streamlined to allow decisions to be made in from a few minutes to a few days versus weeks and months with traditional insurers. No medical examinations. No testing. And no waiting for results. * Issuance depends only on the answers to a few health questions. This rapid decision-making process is the work of experts who have the knowledge and experience to provide solutions that are both forward looking and practical. It’s a benefit you won’t likely get from any other insurer. Rapid Decision Term is a level death benefit participating term life insurance product to age 95. Guaranteed level premium periods of 10, 15, 20 and 30 years are available. After the level premium period, rates increase each year through age 94. The policy is convertible during the first 10 policy years or to age 65, whichever comes first. Rapid Decision Term features the company’s rapid decision underwriting process which utilizes the Internet and the active involvement of its underwriters. Its application, approval and delivery processes have been streamlined to allow underwriting decisions to be made in days, instead of the standard time frame of several months. Issuance of a policy depends only on the answers to a few health questions. Its Graded Death Benefit Term and Graded Death Benefit Whole Life products are designed to provide up to $250,000 of life insurance coverage for customers who have experienced health problems. Coverage increases in years one and two with full coverage starting in year three. These products also use its rapid decision underwriting process which combines secure Internet technology and personal access to experienced underwriters in order to streamline the decision-making process and keep your premium rates low. The Graded Death Benefit Term Life product provides a level premium to age 80 or 20 years, whichever is later. The death benefit is level for years 3 to 10 and then reduces to an amount the premium will support each year thereafter. CP term is a fully underwritten level death benefit participating term life insurance product to age 95. Guaranteed level premium periods of 10, 15, 20 and 30 years are available. After the level premium period ends, rates increase each year through age 94. The policy is convertible during the first 20 policy years or age 70, whichever comes first.